The unexpected cobalt and orange color scheme of this shoot make it even more dreamy! The lead planner on this shoot was the talented Carmen from Bird Dog Weddings in Austin, Texas! From a wild and asymmetrical floral centerpiece, to vibrant candlesticks, and the vintage leather chairs with sheepskin rugs draped over - the details are impeccable and spot on. Well done, Carmen! Scroll through the images below, and find a full list of the vendors that contributed their talents to this shoot at the end of the post! The invitation suite fits right in with all the other gorgeous details; bold black and white envelope adorned with vintage stamps, bold and bright envelope liner with midcentury modern greenery, watercolor and paint splatter accents on the paper pieces, and an unexpected color combo overall! I LOVED creating this suite - still a favorite of mine! How perfect is this outdoor patio space at the venue 1102 East? And did I forget to mention to you that a goldendoodle was involved?! Yes, yes, and yes! The place settings were absolutely amazing; the bold blue table runner automatically gives the table a modern feel. Pair that with the gold flatware, fun cocktails, stone place cards, and a menu card that incorporates the bold invitation suite design! 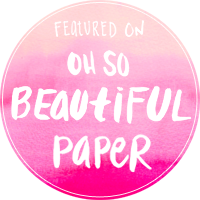 PAPER GOODS + CALLIGRAPHY: GOLDIE DESIGN CO.